We are happy to make car hire arrangements for you and offer a flexible and competitively priced service with AVIS, our partner in Sicily. Alternatively, airport transfers to most of our accommodation can be arranged. With little public transport on the island, hiring a car is the best way to get out and about, giving you the freedom to explore the island at your leisure. Also, most of our self-catering properties are situated in the countryside, away from beaches and main towns, making it essential to have a car on holiday. Taxis can be very expensive and taxi drivers generally don’t speak English. The majority of our package holidays include car hire and we have assigned different car grades and numbers of vehicles to accommodate all guests and their luggage. If your package holiday includes airport transfers, or if you have booked accommodation-only and you wish to hire a car, prices are shown in the table below. Please ensure that your choice of car will be sufficient in size to accommodate all of your luggage. 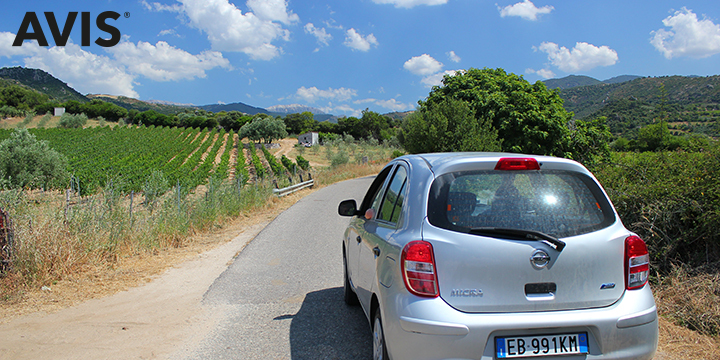 It's also important to bear in mind that there are a limited number of vehicles in Sicily, and car hire is in great demand in July and August particularly, so we suggest you book early to avoid disappointment. Drivers must be at least 21 years old and have held a full licence for at least 1 year. They will also need a valid credit card for security on collection of the car. * Car models within a grade are shown as an indication and particular makes and models cannot be guaranteed. Low season: 01 Apr - 12 July; 17 Aug - 31 Oct. High season: 13 July - 16 Aug.
AVIS Super Cover including Super Collision Damage Waiver and Super Theft Protection from €25 per day, payable locally. Not essential due to Excess Insurance being provided with T&G. For all holiday packages that include car hire, we now provide Car Hire Excess Insurance as standard. This added protection enables you to claim back the cost of any excess charges that may be imposed should your hire car become damaged or stolen. This means that it is not essential to pay for Super CDW locally, saving at least €25 per day or €175 per week. This insurance policy is provided by T&G in partnership with Antares. Click here for Terms and Conditions. We are able to arrange transfers between the airport and our hotels instead of car hire. Some of our hotels include transfers instead of car hire due to their location. On some occasions these transfers are payable locally to the hotel or the driver – we will advise you if this is the case. Please call us to discuss.